Freedom and individual responsibility, entrepreneurial spirit and open-mindedness: ETH Zurich stands on a bedrock of true Swiss values. Our university for science and technology dates back to the year 1855, when the founders of modern-day Switzerland created it as a centre of innovation and knowledge. At ETH Zurich, students discover an ideal environment for independent thinking, researchers a climate which inspires top performance. 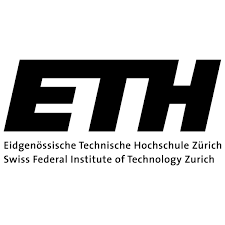 Situated in the heart of Europe, yet forging connections all over the world, ETH Zurich is pioneering effective solutions to the global challenges of today and tomorrow.